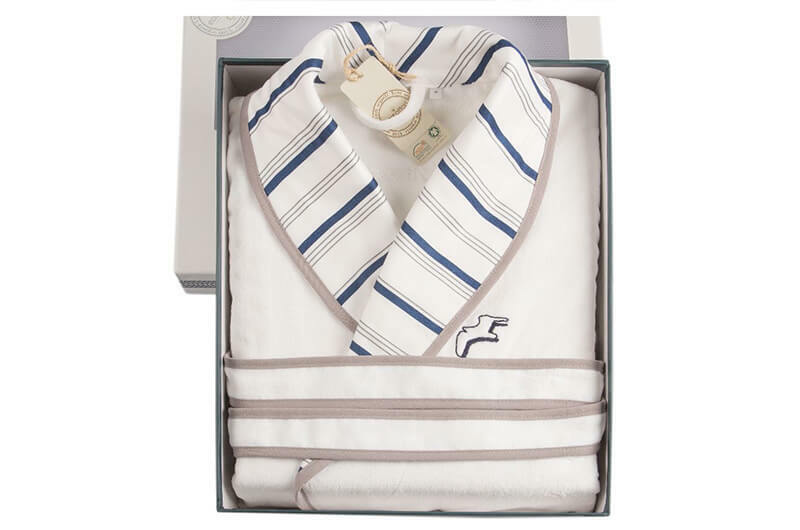 The Seagull organic cotton bathrobes are the high-end products, proudly and reassuringly bear the GOTS certificate. GOTS certifies that at every stage of the process, production conforms to the strictest rule to make sure product is totally free of pesticides and hormone loaded fertilizers. 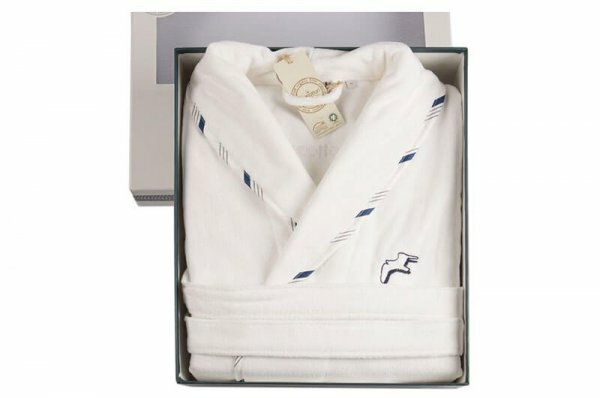 We made Seagull Organic Bathrobe of very high class organic Aegean Turkish cotton yarns. 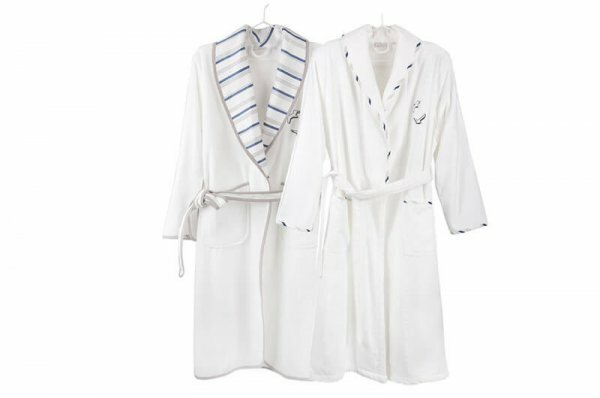 And in addition to this, it is luxuriously embroidered over the chest area with an elegant finish around the hems and pockets. 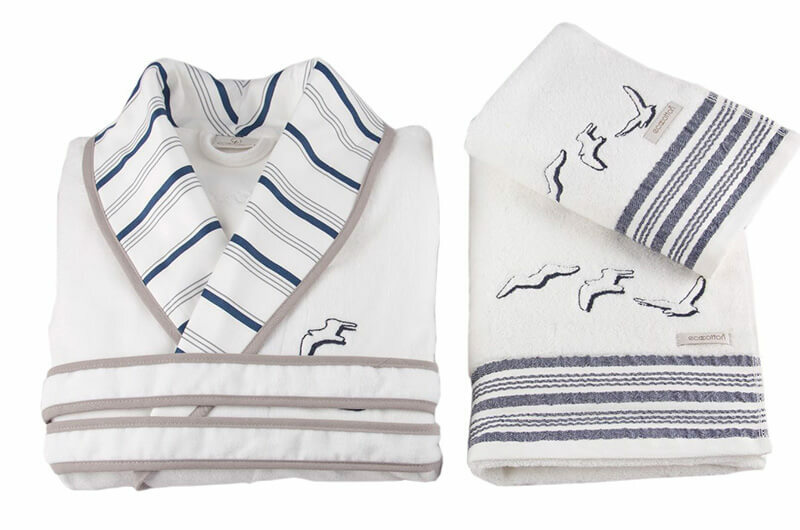 They come only in white colour and the seagull embroidery is done in dark navy. 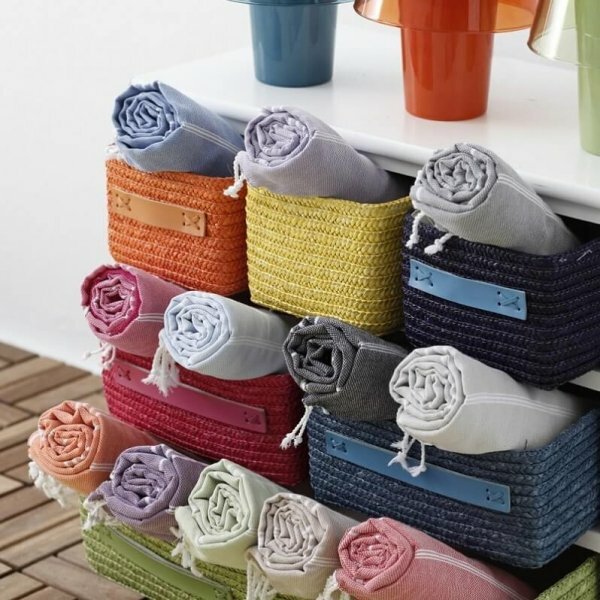 Various sizes are available and sizes are quite generous in this model. 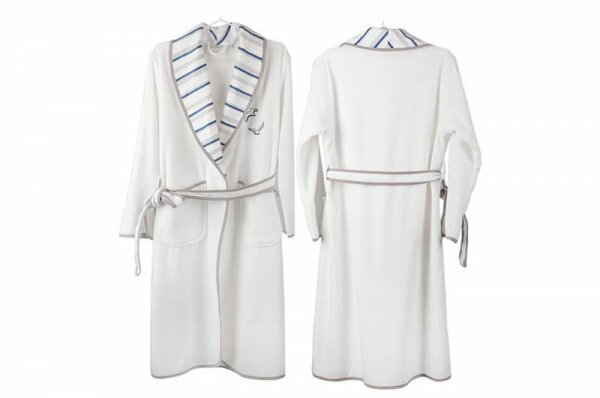 Seagull Bathrobe for Women comes with a coordinating ‘Mr’ versions if you wish to go for a pair. 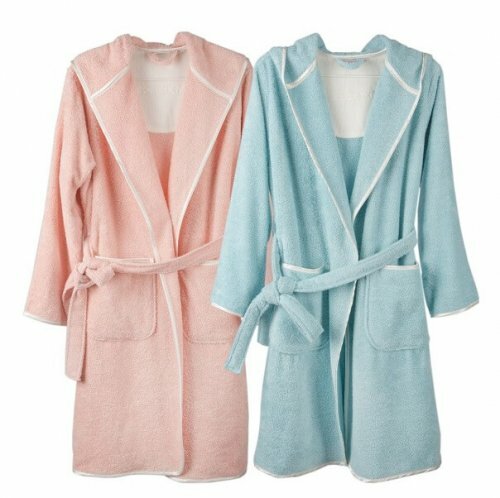 Actually, they are very similar in spirit yet the collar area in each one is slightly different to the other to make them unique. 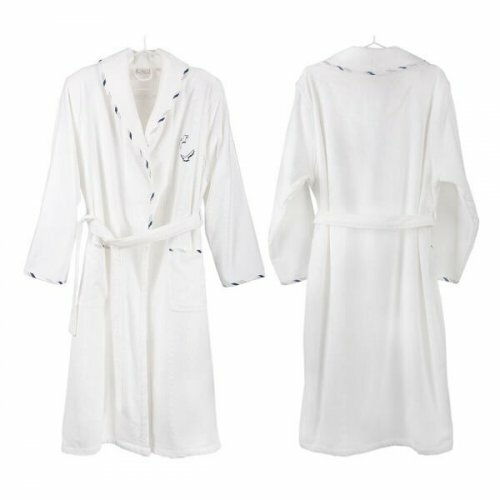 The Seagull Organic Cotton Bathrobe For women is presented in its exclusive box. 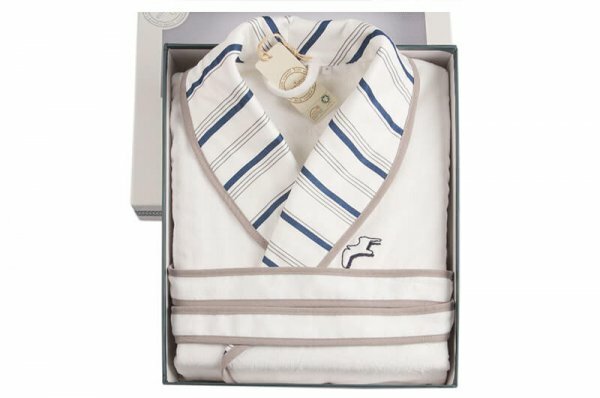 The recipient will be totally thrilled with the quality and its unprecedented charm along with its wellness factor.